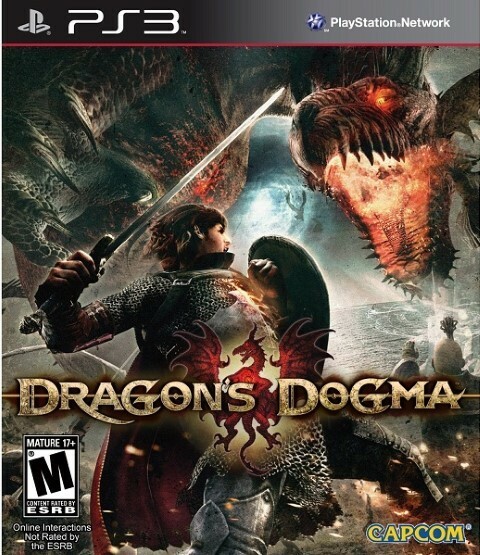 Dragon's Dogma PS3 Review. 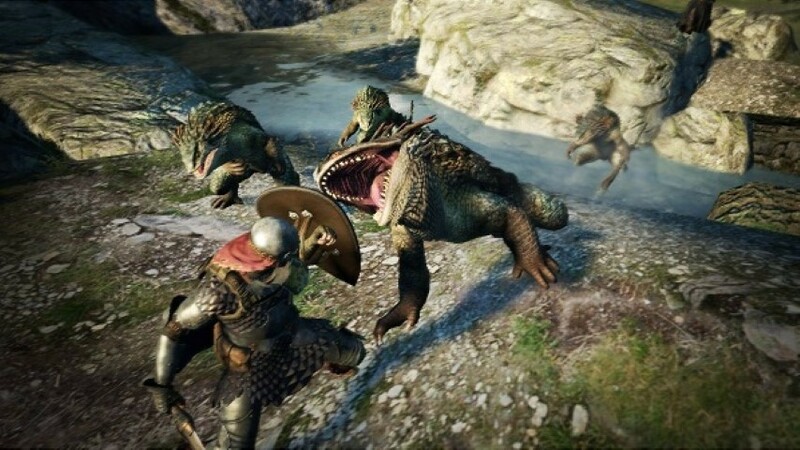 Those who love mythology and have always wanted to fight some powerful mythical creatures and those who player Dungeons and Dragons and enjoyed it will find quite the gem in Dragon’s Dogma. One of the most interesting things about Capcom’s Dragon’s Dogma is trying to classify the genre. While it is indeed a Fantasy RPG, the game takes elements from many other genres including survival-horror, action-adventure, and even some elements of an MMO. Normally when a game attempts to mash and blend together different genres it comes across as a poorly put together mess, but surprisingly, Capcom pulled it off. Even more surprising is the fact that Dragon’s Dogma is Capcom’s first attempt at a “Western” RPG. The fantasy RPG elements are indeed the most dominant in the way a person creates a custom character, kills things, levels up, gets new abilities, and slowly grows stronger and stronger. 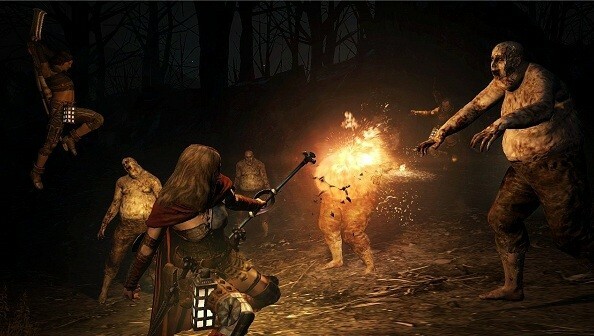 Unlike a lot of recent open-world RPG’s Dragon’s Dogma does not feature a sliding level scale. This means that, while you can go anywhere in the game, there are dangerous areas and enemies that will easily crush a weak player. This means that while a player could go chasing after a wyrm early in the game, even that mini-dragon is most likely going to devastate you in one blow. I found that even into level 30 and 40 some of the boss fights were still extremely tough and avoidance was always my best bet. The reason I mentioned the elements of an MMO is because while you create a main player you also create a ‘Pawn’ early in the game. This ‘Pawn’ is a second character of yours who levels up and is geared just like your own character. The only difference between the pawn and your character is that the pawn is controlled by the game’s AI. You can recruit other pawns temporarily, from either other players or from pre-made NPCs the game provides. The reason this fits the MMO aspect is that certain fights will be harder without the right composition. The many classes in the game all have different abilities, some will be the classic MMO tank with features that taunt enemies and get their attention while trying to block and shield, others will heal the party and keep them standing, and others will focus on doing large amounts of damage to distracted targets. This classic four man party of tank, healer, and two DPS (damage per second) causes the party to play very similar to an MMO. The story is rather nice and has some key moments that will indeed lead to tough choices. One choice early in the game had me stop and think for quite some time trying to figure out what to do. These moments however are rare and other than that the story is a rather basic story. It isn’t boring to say the least, just that the story isn’t anything super fancy. A dragon shows up, you become the Chosen One to stop him, you have to do lots of things to help people and get stronger, and then you go beat up the Dragon. There are a lot of twist and turns, but I’ll avoid those for people who don’t want the story ruined. In general the story is good, but nothing mind-boggling or noteworthy. Unlike the story, however, the combat is amazing. Each class plays and feels different, all serving useful and fun. Some classes tend to be very hack-and-slash based, others are more ranged, some prefer hit and runs, and one even enjoys climbing all over a target similar to Shadows of the Colossus. Boss fights especially feel like works of beauty and truly feel threatening. Even mid-way through the game there were certain creatures that would cause me to turn and run and others that would get me fully focused as I worked hard to bring them down. 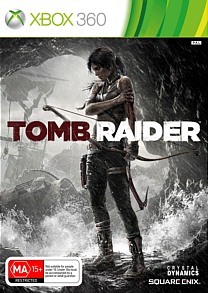 The game’s difficulty can be rather intense and certain fights will be very difficult and require skilled play or higher levels. The majority of boss creatures are fantasy beasts and look amazing and include things like Cyclops, Ogres, Wyverns, Chimeras, Hydras, Griffins, and more. While I’ve not fought one yet, I’ve heard there is a Medusa as well. Each one feels like a different monster with different tactics to bring them down. One might shoot a Cyclops in the eye, climb on him and carve out his skull, or aim at the legs to bring it down. A griffin will attempt to use its flight against you to swoop down and hit you hard and the party might need to weigh it down, shoot the wings, or be ready to fire a lot of magic. Chimeras with their goat, snake, and lion head will consist of the party trying to take it down part by part since each one is a deadly monster all on its own. I tended to kill the snake head, jump on the goat and murder it, then focus on the lion, though that was only my tactic. All in all each boss is different, complex, challenging, and requires the party to work together, something the AI actually successfully does most the time. I’ve had a griffin start to fly and my fighter offer to give me a boost, so I ran to him and he sprung boarded me up so I could grab the griffin. This teamwork and intelligence works nicely and is actually quite surprising to see from AI. While the game is not fully multi-player, the pawn sharing system does add some online characteristics since players can rent, rate, and use your pawns. Leaderboards currently tell some of the top rated pawns, highest level pawns, and more. Because other players can find your pawns wandering around in their world the looks of your pawn and their combat abilities are important. Especially since the money people pay to rent your pawn will come back to you. This social feature is rather interesting and implemented nicely so that if a player wants to use it they can, but if not it is simple to buy a regular computer created pawn. I remembered turning on the game and seeing how much people were paying to use my pawn and feeling quite good about myself, so it’s a fun little ego boost to for those that are proud of their characters. The game does have a few flaws however. The lack of a quick travel system and the dangerousness of traveling at night can make moving around the world for quest deadly and time consuming. With such a large world and no quick travel a lot of the game is spent running from one spot to the other. Overtime a player will learn shortcuts, secret routes, and other faster methods, but it can become a pain early on trying to run all over. Similar to the lack of fast travel is the lack of a wait option. The only way to past time is sleeping at an inn to make it “morning” or “night”. While this can be useful, travel at night is very deadly and there were a few times I was hunkered down hiding in a sealed up castle ruin debating between fighting my way to the nearest town or just waiting and hoping nothing found me. This is actually only a partial complaint. On one hand it made each arrival at a town safely cause a little feeling of relief and added for some intense moments in game, but on other hands waiting was slow and it would force a player to be bored or go into a very difficult area with little light to see things coming to kill you. Overall, the game has a few minor flaws, but these flaws are outweighed by the amazing gameplay and intense moments the game provides. 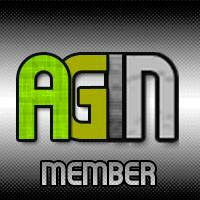 I would recommend this game to anyone who wants a fun, yet challenging and difficult game. The game’s difficulty and steep learning curve for traveling might turn off the more casual gamer however. 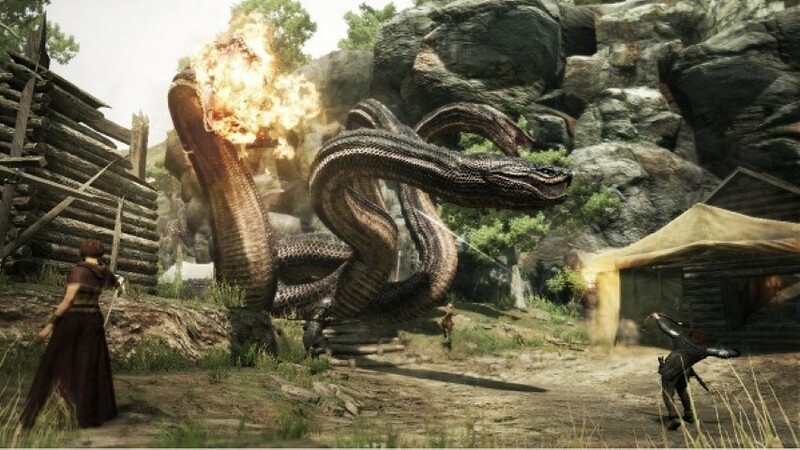 Those who love mythology and have always wanted to fight some powerful mythical creatures and those who player Dungeons and Dragons and enjoyed it will find quite the gem in Dragon’s Dogma.